At long last, we have come to the final chapter in the Halo series. And by “final”, I mean the last Halo title being developed by the awesome developer known as Bungie. Over the years Bungie has done a remarkable job of creating a universe through books, action figures, animations, and of course the games that people love to spend time with. 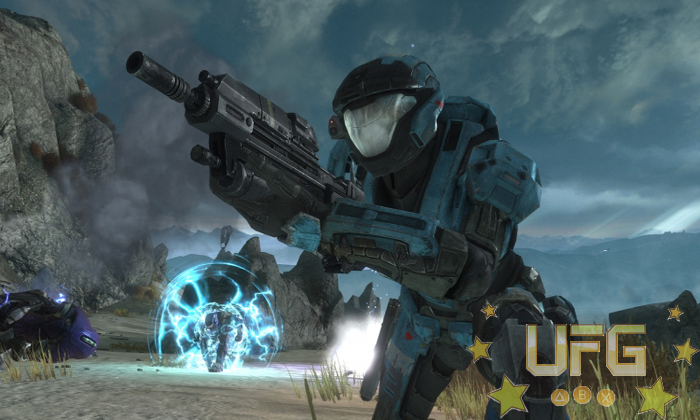 Their latest title, Halo Reach, is the culmination of years of hard work in the gaming industry. 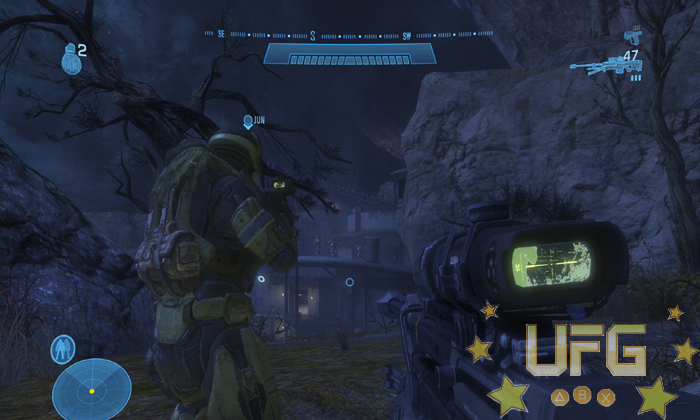 That hard work has paid off as Reach is easily one of the best console-based first person shooters ever! Bungie has done a great job conveying the war between the humans and the Covenant. One minute you’re fighting off Elites (one of the alien races) in a dark, underground bunker while using a night-vision visor to spot enemies, and the next minute finds you dog fighting enemy aircraft in space. No longer is the Halo series plagued with levels full of identical labyrinth-style corridors. Each level visually showcases something new. There is a little backtracking in some of the later levels but they never emit the “been there, done that” feeling; planet Reach was a place and not just a sandbox for action-packed battles. Going back to the story, we all know that Master Chief was the only Spartan alive at the end of Halo 3. This of course means that the Spartans in Reach don’t make it home. 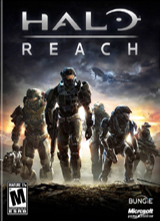 When I first learned that Reach was going to be adapted from a book to a full fledge game, I felt that it would be a waste to play through the campaign. Its one thing to know the ending, it’s another to know that you don’t survive. However, after playing through till the end, I have to say that I was wrong. It’s important to tell the story of how the brave Spartans helped lead humanity to victory. It completes the epic struggle that has been raging since the first Halo. There was a great deal of work done to bring Reach to life. 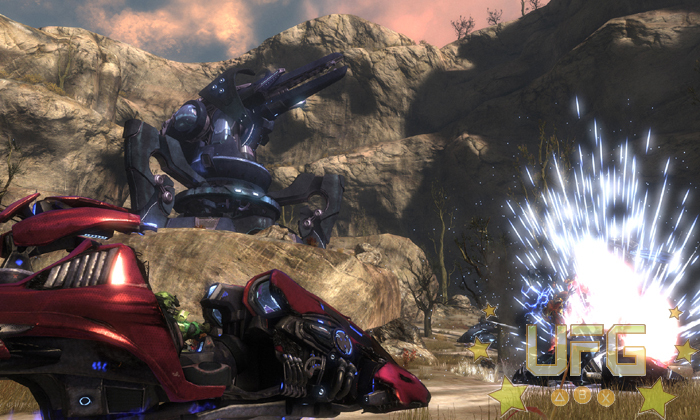 Everything from the graphical overhaul to the new look of old enemies, is used to pull the player deeper into Halo’s universe. However, when comparing Reach to the other Halo games the visual and practical differences were extremely noticeable and so disconnected the world of Halo Reach form the rest of the Halo universe. Being that this is a prequel, it doesn’t feel right for the Spartans on Reach to be immensely powerful compared to the one that saved the human race at the end of the Halo saga. New abilities, better weapons, and cool new enemies make this game feel like it should be placed after, and not before other editions of the story. Noble 6 alone makes Master Chief look like an overzealous boy scout. Noble 6 can do stealth kills on Elites and fly with jetpacks for crying out loud. This is a new game, so it makes since from an entertainment/money making standpoint to have newer, “shinier” things. I get that. It still feels like Halo Reach is the end of the series as apposed to a prequel. I also didn’t really care about the other Noble Team characters. The fact that they spoke more and had different personalities didn’t change the fact that there was no character building at all during the campaign. This cheapened their sacrifice on Reach. It isn’t like Cortana, a prominent character throughout most of the series, died or anything; that would have been somewhat sad. Then again, having static characters is a fault of the Halo series as a whole. This might be nit-picking, but I am sure there are others who enjoy a good story and felt the disconnect that I did. This keeps Halo from being the all–time-great that it could have been story wise. One place where the latest installment of a long running series should shine, and it does, is in the multiplayer components. The quality of everything from the co-op mode, to firefight, to team death match, has been upgraded. Your traditional modes are there, (Slayer, King of the Hill, etc.) but with the new abilities and weapons, they feel like brand new experiences. For example, the normal pick-ups that were scattered around maps in the old Halo’s are now a part of your armor “loadout” as abilities (along with the new ones introduced in Reach). A loadout basically tells you what abilities and weapons you will start out with during a given match. So you can load up the cloak ability and make yourself invisible during a match, but it is set to a timer so you can’t be a ghost the whole time. It you die, you can choose a different loadout before re-spawning, complete with different abilities and starting weapons. It almost has a Modern Warfare approach to spawning in this regard. There are also new modes, like “Stockpile” for instance. A new spin on the old capture-the-flag, in this mode two teams each race to collect flags. Once captured, they are to hold them at the capture zone and score points over time. The new sprint ability is a good choice for this mode, as it allows you to move a lot faster for brief periods of time. The amount of variety found in the multiplayer components alone is worth paying for. On top of all the extra options come the modifiers. Let consider the Firefight mode from ODST, as an example. 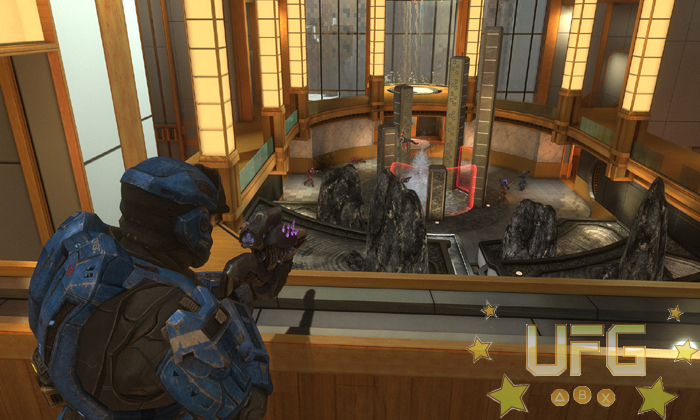 This mode puts a group of Spartans against waves and waves of enemies fighting to survive to earn points. Before starting a match, you could modify it to suit your style of play, like raising the difficulty. In Reach you can modify things even further, like picking what weapons the enemies are allowed to use or even allowing other gamers to play as Elites to try to stop the Spartans from scoring points. This extends the replay value immensely. Modifying a mode is just the tip of the plasma sword! Forge, the map modifier, has expanded to Forge World. It’s basically an open environment where players can make pretty much any type of map they chose. It has been greatly improved from previous Halo installment as you can shrink or expand the playing field as well as snap different objects to specific orientations (like placing a base on the edge of a cliff wall). Instead of just moving the objects around in a given map, you actually get to create new environments to wage war in. These can of course be shared with others over Xbox Live. Regardless of which mode you play your bound to have fun. With all the options given to players, Reach has near perfect replay value. Bungie has really outdone themselves, making up for the lackluster ODST and blowing Halo 3 completely out of our orbit. I bet fanatic Halo fans are still foaming out the mouth. For them, Halo Reach is the number one reason to have a 360. For me, it was a good game that I had a hard time connecting with in terms of story. And of course everything featuring a multiplayer aspect was great! Great campaign + Tons of multiplayer options = more fun than you can throw a sticky bomb at. This is one of the best, if not the best, looking console game. The sound quality is just second to the visuals. And it has the best soundtrack this side of a Final Fantasy game. For the genre as a whole, the shear amount of options available to gamers is new in and of itself. Outside of that, it’s business as usual.